Ever since the Supreme Court’s Kingdomware decision was handed down in 2016, an important question has remained: who has priority at the VA for items on the AbilityOne List? Yesterday, the Federal Circuit Court of Appeals provided the answer. The VA is required to prioritize service-disabled veteran-owned or veteran-owned small businesses when the Rule of Two is met, even when it buys items on the AbilityOne List. The Air Force’s large NETCENTS-2 IDIQ vehicle did not require orders to be set-aside under the small business pool, except for orders valued between the micro-purchase threshold and simplified acquisition threshold. In a recent decision, the GAO held that although the NETCENTS-2 contract in question says that Contracting Officers “should” perform a “rule of two” small business set-aside analysis for orders valued over the simplified acquisition threshold, it does not require that such an analysis be performed–meaning that Contracting Officers can validly award such orders to large businesses, even if two or more small business NETCENTS-2 holders exist. In a strongly-worded opinion, a federal judge decried a “labyrinth of legal and regulatory hoops and hurdles” imposed on the VA as a result of the famous Kingdomware Supreme Court decision–and suggested that Congress could exercise a “kill switch” to curtail or even eliminate the SDVOSB and VOSB contracting preferences the Supreme Court unanimously affirmed. While I have no reason to suspect that Kingdomware is in any danger of being overturned or curtailed by Congress, its certainly not great news for SDVOSBs and VOSBs that a federal judge seems to be pushing for that very thing. A protester contending that the VA violated the “rule of two” by failing to set-aside a solicitation for SDVOSBs must present sufficient facts to indicate that the VA should have had a reasonable expectation of receiving two or more offers from SDVOSBs at fair and reasonable prices. 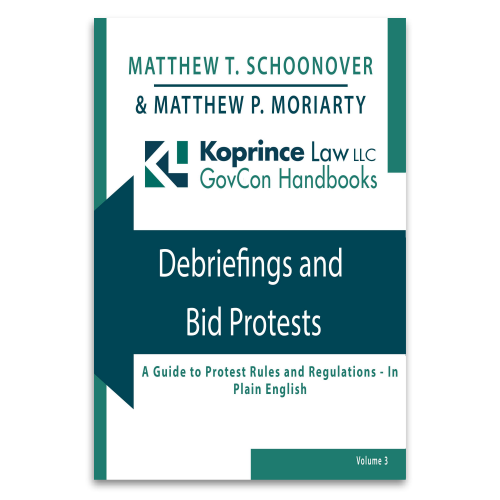 In a recent decision, the Court of Federal Claims dismissed a rule of two challenge because, according to the Court, the protester only identified one SDVOSB–itself–that was likely to submit an offer at a fair and reasonable price. 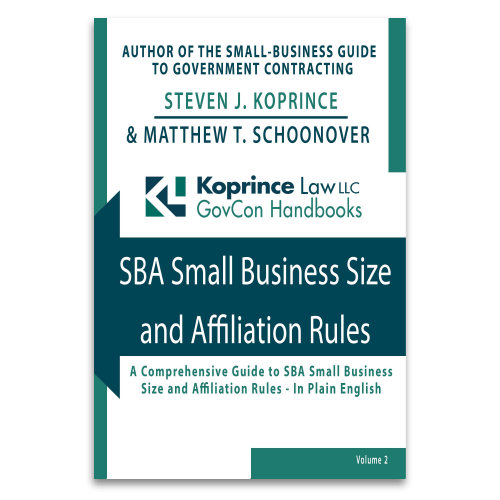 An agency isn’t required to cancel a small business set-aside solicitation if the agency learns that one of the small businesses upon whom the set-aside decision rested is no longer small.